Sequel wins in the IoIC Awards 2013! Last Friday Sequel Group came away from this year’s IoIC awards with two Awards, in the Mobile and best News Magazine (up to four issues a year) categories and seven Awards of Excellence! 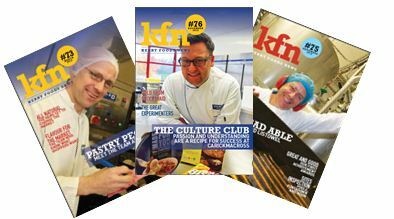 The best News Magazine (up to four issues a year) was awarded to Kerry Foods News (KFN), a quarterly magazine that is distributed to all Kerry Foods staff. We have worked on Kerry Foods News since 2011 as part of the magazine’s re-launch. A lot of thought and planning is put into each issue to ensure that the content and design is approachable, appealing to a speed reader (who may only have a short amount of time to read the magazine in their lunch break) and interesting. O ur own AQ Magazine won in the Mobile category. The free digital magazine, with interesting articles covering a range of Internal Communication topics, is written, designed and build by Sequel – in flash and as an iPad app – and produced every two months. We recently released our 10th issue in August 2013, which has articles about how many IC professionals it takes to sign off a project, augumented realities – the future of presentations, and an interview about Twitter from Katie Hadgraft. Our next issue of AQ will be out in mid to late October, and for the first time will be built in HTML5 – an exciting development for us that means it can be viewed by a wider audience over a larger number of platforms. We are very excited to see the hard work of our editors, writers and designers receive recognition in these awards and look forward to the work we can do in the future. For a full list of the awards see the IoIC website.